Our Philosophy is to focus our attention on each rider and their individual needs when it comes to obtaining a more comfortable, powerful, efficient, and aerodynamic position. Whether you’re getting ready for your first ride or trying to set a new personal record we have the education, understanding, and necessary equipment to help get you there. “Sizing” or “Getting Measured” for a bicycle: Sizing (or getting measured) is the first step to finding the correct fitting bicycle that will work for you. Sizing involves the process of taking body measurements in order to accurately translate those numbers into the appropriate height and length of a bicycle frame. At Jack and Adam’s this is the first step in searching for the appropriate bicycle. It is always best to wear athletic or cycling attire for a sizing. There is no fee for sizing so feel free to call the shop: 512-472-5646 and tell the shop personnel that you want to schedule to get sized for a bicycle or you can walk in and ask to get sized or measured for a bicycle. We keep measurements on file for future reference if you are not quite ready to make your decision considering a particular bicycle model. Fitting: Fitting is the process of actively positioning an individual to an existing or new bicycle. The process is designed around individual anatomical and mechanical standards to aid in comfort, adequate weight distribution, injury prevention, and absolute power for performance. Every cyclist should have a fit. This process ensures you are safe and comfortable. 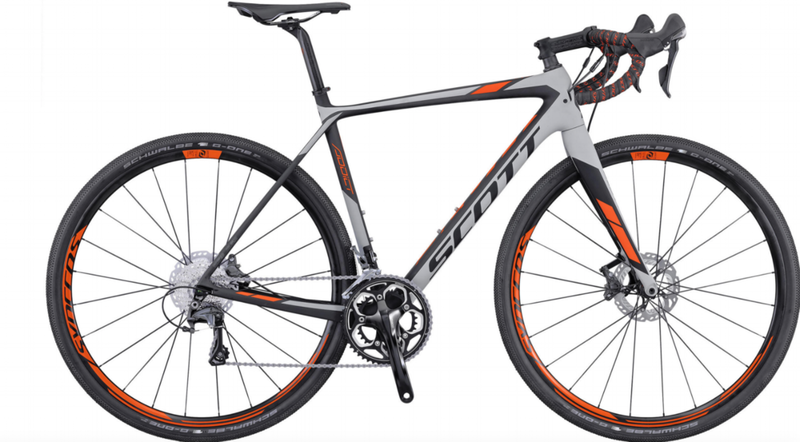 Test Ride Fit: This is a fit performed for a new bike purchase; when an individual is interested in experiencing the new bike’s relative ride quality. There is no fee associated with the test ride fit. Often, the major details of a full basic fit are addressed, but may require further attention to detail to correct any “stock” component that limits total comfort or accurate fitting. Basic Fit: The goal is to place each customer in a comfortable and bio-mechanically efficient position. This is achieved by taking specific body measurements and aligning the skeletal structure to better support the rider with consideration to the individual’s flexibility, neutral pedal alignment, optimal saddle height, saddle fore and aft, saddle to handlebar drop, and aerobar length and width. This service is typically performed for a cyclist on their existing bicycle, for a fee of $50. Additionally, this level of fit is provided for all individuals who purchase a bike from Jack and Adam’s bicycles at no cost (within the first year of purchase). Josh Allen, Owner/Fit Specialist - Josh is the owner of Jack & Adam's Bicycles Fredericksburg. Josh grew up in Sweetwater Texas and spent his weekends and summers at his families ranch in Doss, TX. After highschool he made his way to Austin where he atteded the University of Texas and studied Economics and fell in love with endurance sports. In 2004 Josh was hired at Jack & Adam's Bicycles where his love for Cycling, Running and Triathlon grew. In 2005 Josh graduated and went on to work in the banking industry for 7 years and eventually found his way back to Jack at Jack & Adam's Bicycles in Austin. He was trained in all aspects of fit, both cycling and triathlon specific from Jack Murray, Eddie Martinez and David Wanger. Focusing on proper ride form, injury prevention, and power. He has moved on to own his own shop and has taken the knowledge he learned from Jack, Eddie, and David to Fredericksburg TX.